Dexter James was out on a bike ride with his dog and he came across a weatherman, Dr. Gage. 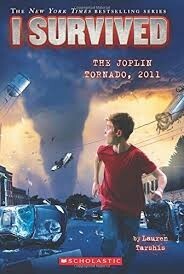 Dr. Gage invited Dex to go on a tornado hunt with him. But unluckily the tornado is to big a furious for them to hunt. Dex and Dr. Gage did go home , but it was heading toward Jolpin. They where vary close but they survived. Unluckily their town was destroyed but they are still alive.